If you are the sort of person who doesn’t want to use your hands to control your iPhone’s touchscreen when it is cold outside, then you need to get yourself one of these iPhone Sausage Screen Stylus. 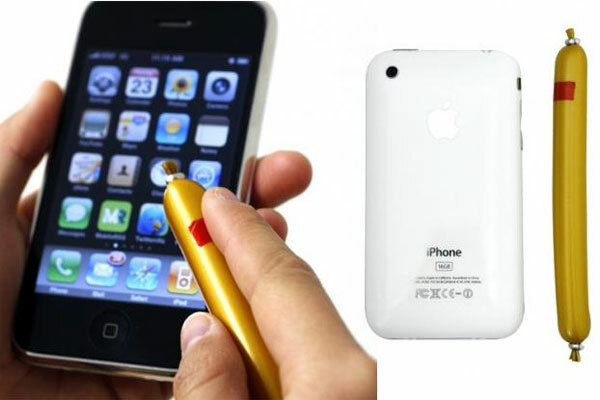 The iPhone Sausage Screen Stylus can be used with your iPhone and iPod Touch to control all the functions you would when you are using your fingers, it cleverly fools the iPhone into thinking you are actually using your fingers. If you want one of these iPhone Sausage Screen Stylus, they are available for $0.99 from Case Crown, of course you could just pop down to your local Deli and get one there. What will they think of next!